Aroma*Vital Energy is our synergy that creates a strong, vital body, mind, spirit and energy field. It is the awakened, alive life force that empowers the union of body and spirit as one. 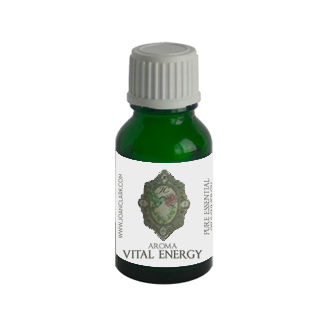 Aroma*Vital Energy is also the synergy that is our emergency blend when the life force is at a low point, and and all parts of the self are under stress and suffering extreme physical symptoms. Colds, flus, aches and pains. This is the “shield blend“. Like many use “Thieves Blend“, this is our protection blend. Wards off everything that is trying to attack us-- all unrest within and without.